The new, indoor physical fitness center provides the necessary facilities required for the development and maintenance of physical fitness, conditioning and training needs for the military personnel assigned to MCBH at Camp Smith. This 29,827 SF indoor fitness facility at Camp Smith includes a Gymnasium, Fitness Area, Shower/Locker/Sauna facilities, Unit/Group Exercise rooms, Health and Wellness office classroom, Administrative and support spaces. The cardiovascular/weight training fitness area is the focal point of the facility. The large open Gymnasium contains one full-size basketball court, capable of being used for small basketball cross-courts and for other court sports. The aerobic/exercise room is divided into 2 spaces for different configurations. 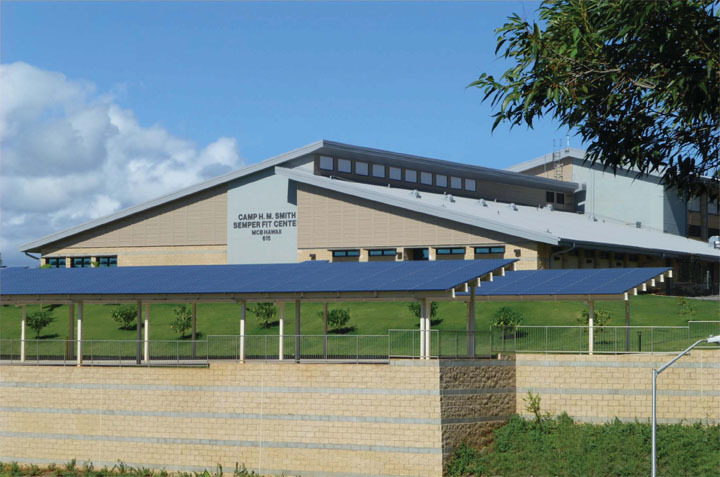 The structure is constructed with concrete slab-on-grade concrete and concrete masonry walls, with metal truss roof framing and insulated decking for a large open space. 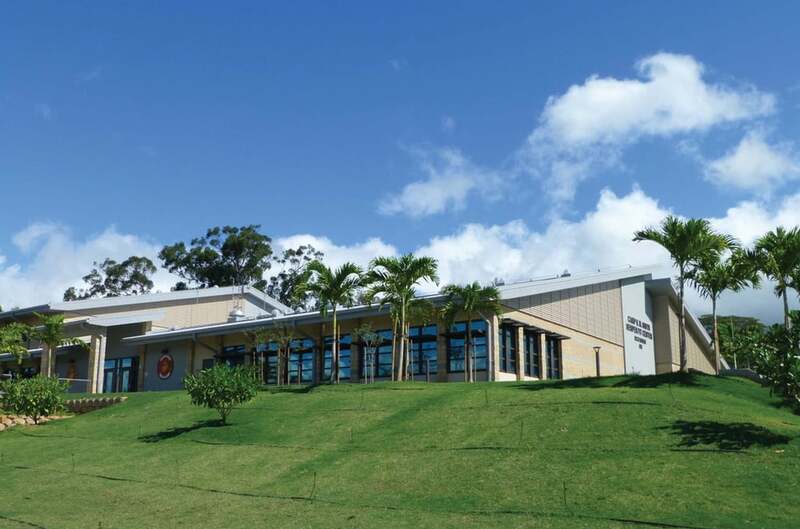 The building is sited on a steep slope, overlooking Pearl Harbor and Diamond Head. 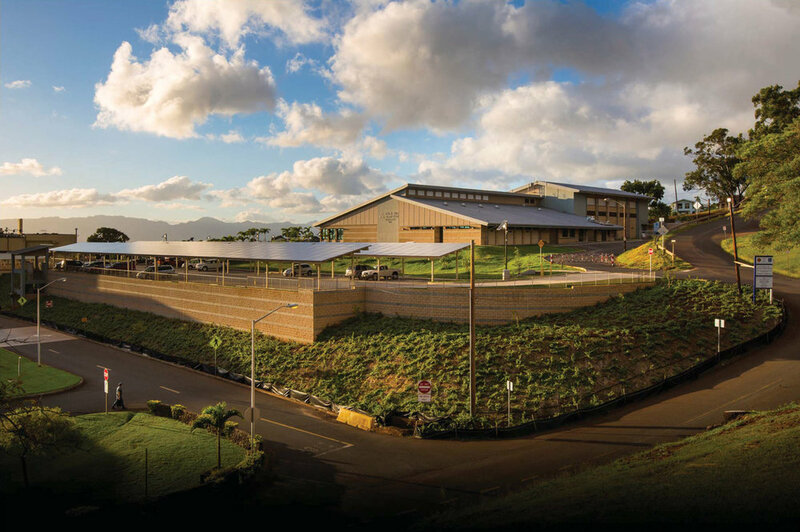 The facility complies with EPAct 2005 and is designed and constructed to certification by the USGBC as having met the USGBC LEED-NC requirements for a minimum rating of LEED “Silver”.